For those keeping count, this year will be my 7th consecutive year as a delegate of the Edinburgh International Film Festival. Back in 2011, I titled my DN intro piece ‘All Change’ – and it’s a title that would be equally fitting this year. Since I began my annual visits to the festival, there have been no less than four festival heads: first there was Hannah McGill (artistic director from 2006-2010), then there was James Mullighan (2011), then Chris Fujiwara (2012-2014) and now Mark Adams (2015-?). To say that it’s been something of a tumultuous time for the festival seems like an understatement – and yet, despite it all, the festival has never failed to deliver. Even 2011, which has been officially deemed “largely unsuccessful” (at least according to Wikipedia), there was still much to enjoy. Perhaps much of the credit for this should go to the festival’s deputy artistic director Diane Henderson, who has been a constant at the festival since 2006, and who seems to be the real unsung hero of the festival. Of course, Henderson is not the only constant, and much credit has to go to the full festival team, many of whom have ridden through the storm with great aplomb. But the question remains as to how the festival will change as a result of the shift in leadership from Fujiwara to Adams, and how such changes will affect the paying audience. On the surface, the changes aren’t as major as, say, the complete remodeling of London Film Festival that Clare Stewart undertook when she became artistic director of that festival in 2012 – or even, perhaps, as major as the changes that were made between the 2011 and the 2012 editions of EIFF. But it should be noted that Adams only started in March, and that we may not see the full scope of his vision for EIFF until next year’s edition. But, for now at least, many of the strands which have become familiar to EIFF audiences over the last few years remain unchanged. And so, what of the films showing within these strands? As ever with Edinburgh, there’s a mixture of high-profile work (Pixar’s Inside Out, Asif Kapadia’s Amy, David Gordon Green’s Manglehorn) and smaller independent work waiting to be discovered. It was the latter which seemed to flourish under Fujiwara, and in some ways I’m surprised that his departure hasn’t resulted in more of the former this year. Some of the films I’m particularly interested to check out include Colin Kennedy’s Swung, David Nicholas Wilkinson’s The First Film, Andrew Haigh’s 45 Years, Rodrigo Garcia’s Last Days in the Desert and Cem Kaya’s Remake, Remix, Rip-Off. I will admit though to not being as overly excited about the programme as I have been in previous years – there’s no standout film that’s got me itching to get to the festival come hell or high-water. But perhaps this says more about me than it does the festival, for the general buzz around the programme from press and industry seems to be bigger than it has been in recent years, and the festival staff themselves seem especially excited (one told me that it’s “starting to feel like a real festival again”). Adams is a liked and respected figure in the UK industry (he has previously worked as a critic for the Sunday Mirror, Variety, the Hollywood Reporter and Moving Pictures International), and hopefully his appointment will encourage more media coverage of the festival, something which is needed if the festival is to fully recover from the rough and tumble of recent years. For me, EIFF has often been a festival of discovery, and many of the stand-out films I’ve seen there have been things I’ve seen on a whim, and which have not gone on to receive a wider UK release (e.g. József Pacskovszky’s The Days of Desire and Christine Laurent’s Demain?). So, although I may not be awaiting the festival with quite the same anticipation as previous years, I remain hopeful that this year will yield many fresh discoveries. Either way, I’ll report back later this month. 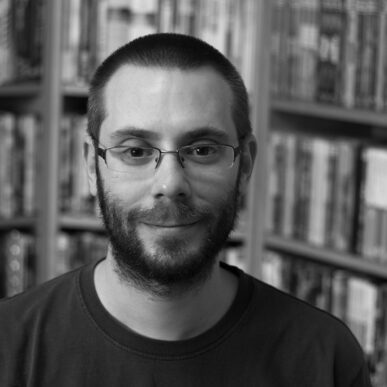 Alex Barrett is an independent filmmaker and critic based in London. His second feature film, the silent city symphony London Symphony, is now available worldwide. He also runs the blog Night on Planet Earth.